Oxbow Botanical Hay, 15 oz. Without a little variety in any diet, mealtime can get boring. 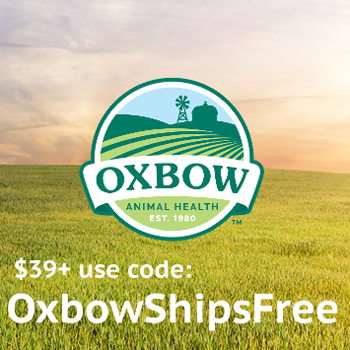 Oxbow'_s Botanical Hay is a rich blend of herbs united with Western Timothy hay to stimulate your pet's appetite for hay and create a relaxing getaway in your pet's habitat. Alternate Botanical Hay with other Oxbow grass hays, or mix it in with other hays to create appetizing, long-strand fiber meals. All of our forages are guaranteed farm-fresh from the Oxbow Hay Company in Nebraska.